According to us, the core of a wedding ceremony that makes it completely special and extremely unique is “You & Your Fairytale Love Story”. We, at Mac Studios, find it a great privilege to photograph your big day. Our wedding photography Ahmedabad, Gujarat services are one of a kind. Seriously, we are not bragging. We strive to capture what is beyond the apparent in each wedding by observing a unique photography style that encourages the couples to allow things around them unwind naturally. This helps us in capturing the reality, heart, and soul of your D day. We craft and capture chromatic imagery replete with raw emotions and intimacy. Partly following both, technique and artistic style, we photograph the essence of your wedding. The emotional in-between moments such as a bride getting ready, the bridesmaids teasing the bride, calling her to-be- husband and telling him that she loves her, the last kiss from a father to his daughter are all the heart of what makes the weddings so great. We look at these moments as breaks to capture forever. Aside from capturing weddings, we also create fine art photography, event photography, portrait photography and much more. A love affair with romance, raw beauty and adventurous spirit is all that you can easily witness in our prewedding photo shoots in Ahmedabad. 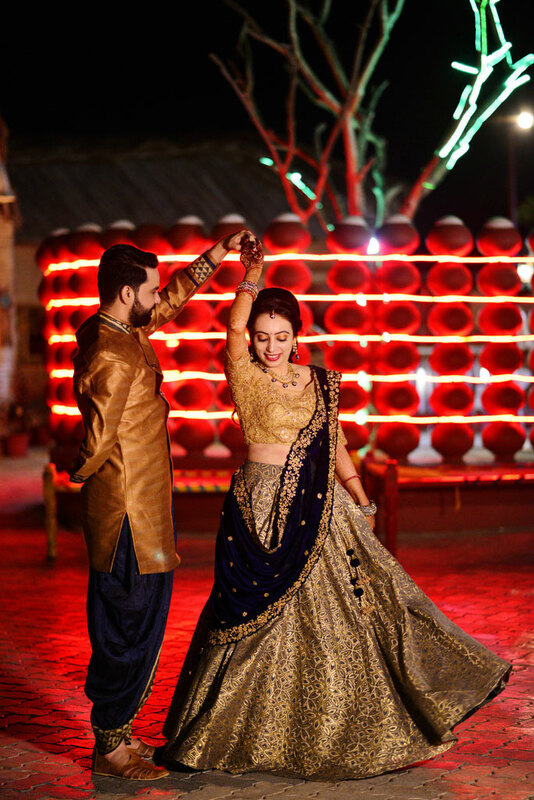 A wedding is a love story happening in real time and we try our best to capture this romance at some of the best Ahmedabad photography places. The chemistry of our couple captured against magnificent backgrounds helps us to create lasting images. Do you wish to have a wedding album that is brimming with stunning photographs you can be proud of? Do you wish for wedding photos that are both gushy and inventive? Well, if yes, you are in the right place. We, at Mac Studios, are known for our incredible marriage photography. Breaking the status quo of wedding photography, we are reputed as the best wedding photographers in Ahmedabad, Gujarat, offering dynamic wedding imagery that will last for a lifetime. We deploy a creative use of light & shadows in tandem with a modern editorial approach to create visual imagery that reflects and celebrates your unique story. Putting our technical knowledge to practice, we shoot in a classic style that aims to make every bride look as beautiful and iconic as they feel. A seamless blend of modern and traditional, our photography delivers timeless imagery of every love story it documents. Modestly capturing every transitory moment with subtle detail, the photographs you will receive from your wedding day will be overflowing with excitement, emotion and moments full of love. Being the best wedding photographer in Ahmedabad,our professionalism shines through our work and the ability to bring out the best in our couples. Couples who work with us trust us completely for they know we will tell their story in an honest manner, full of life, creativity and raw emotion. We shoot the way it feels and not how it should look and thus, we never ask you to make any cheese poses. We are less about the frills and perfection. We aim to surface genuine and honest connections above everything else. Our marriage photography is all about those radiant moments that celebrate the deep connection between our wedding couple. There is no awkward posing or enforced formations but simply honest exchanges of you and your loved ones, bundled beautifully as ethereal images. It’s the Journey that Matters! We aim to tell your story from start to finish. This implies that every picture we take is important to us. We have an eye for detail that can be witnessed in our splendid photography, showcasing true emotion and charming elegance. We strive to develop a personal bond with our clients that we value the most. This bond is easy to witness in every image we click, whether it be wedding photographs, family reunions or professional portraits. Whether your marriage celebration is a small, intimate affair or a grand and formal one, locating the suitable photographer who complements your style is immensely significant. Being the best marriage photographer in Ahmedabad, our style of photography is largely inspired by love, adventure and fun. Our grail is to develop pictures that are beautiful may it be in a sentimental, authentic moment or an innovatively-inspired image designed to create a striking piece of art. Every shot we capture is replete with artistic vitality, astounding colors and a surfeit of thoughtfulness. Our innovative photojournalistic approach together with our ability to create spectacular portraiture helps to make your marriage photography an achievement in itself. We endeavor to capture timeless picture without getting into the way of your celebration. You can relax and be rest assured that every picture will portray your beautiful wedding journey. We make use of superior cameras and other photography equipment along with creative lighting and backdrop solutions to match every kind of situation. We try to develop a deep bond with not only the star couple but also their friends and family to make sure that every relation is photographed with authentic emotion. We understand that when it comes to a wedding, everything from décor to attires and jewelry has been selected with a lot of effort. Thus, we make sure that every trivial detail of the day is duly captured. We offer a variety of wedding photography packages in Ahmedabad to match the precise needs of different clients. Once we know your requirements, we can help in locating the right package for you. 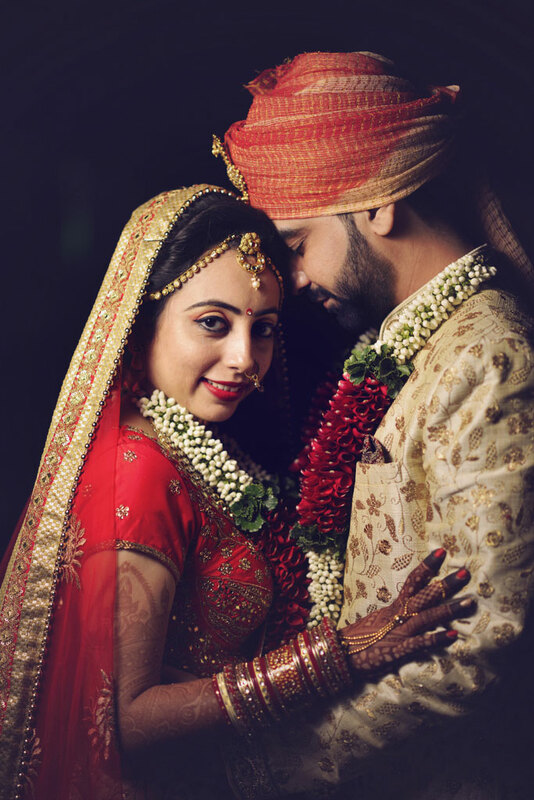 Living the title of best wedding photographer in Ahmedabad, we try our best to capture the real, in-between moments such as small glances at each other, those delicate touches and emotional conversations. Our work is honest and aims to communicate how the day must have felt to the couple and their families. We make sure that you absolutely do not have to worry or stress about your wedding photographs for we know there is enough stress involved in arranging a wedding as it is. If what we said above resonates with your vision of your D-day, feel free to get in touch with us. Because the most important day of your life should be everything you dreamt of. 202, Palm Plaza, Besides Richmond Grand, Makarba, Ahmedabad-380051. Copyright © 2018 - Mac Studios. All Rights Reserved.